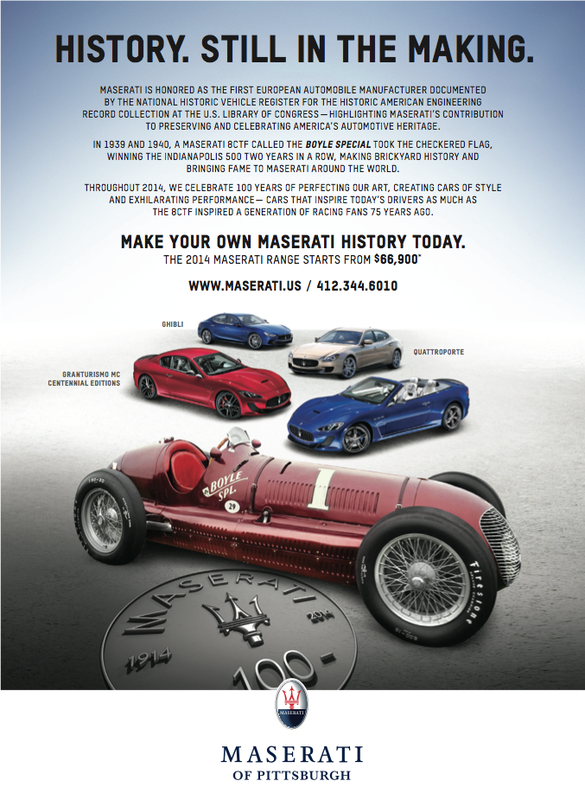 Maserati of Pittsburgh commenced as a new dealership in early July of 2014. Rohrich European Motors been involved with the Pittsburgh Vintage Grand Prix for many years and in 2018 is going to have a display in the Cortile Italian Car Show. In 1914, Alfieri Maserati, working with two of his brothers, Ettore and Ernesto found Maserati. Alfieri died in 1932, and a fourth brother, Bindo, joined the company. Bindo, was an artist, and is thought to have designed the Maserati logo, inspired by the Neptune fountain in the center of their hometown Bologna. The tradition of building fast, exciting cars continue with the new Ghibli and Levante.